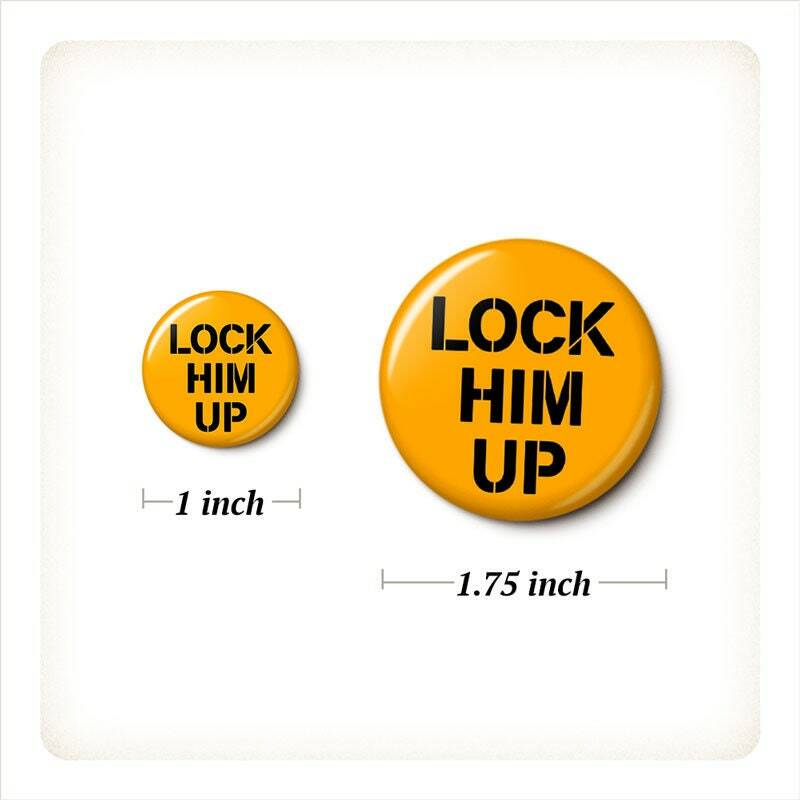 Lock Him Up pinback button or magnet, your choice. 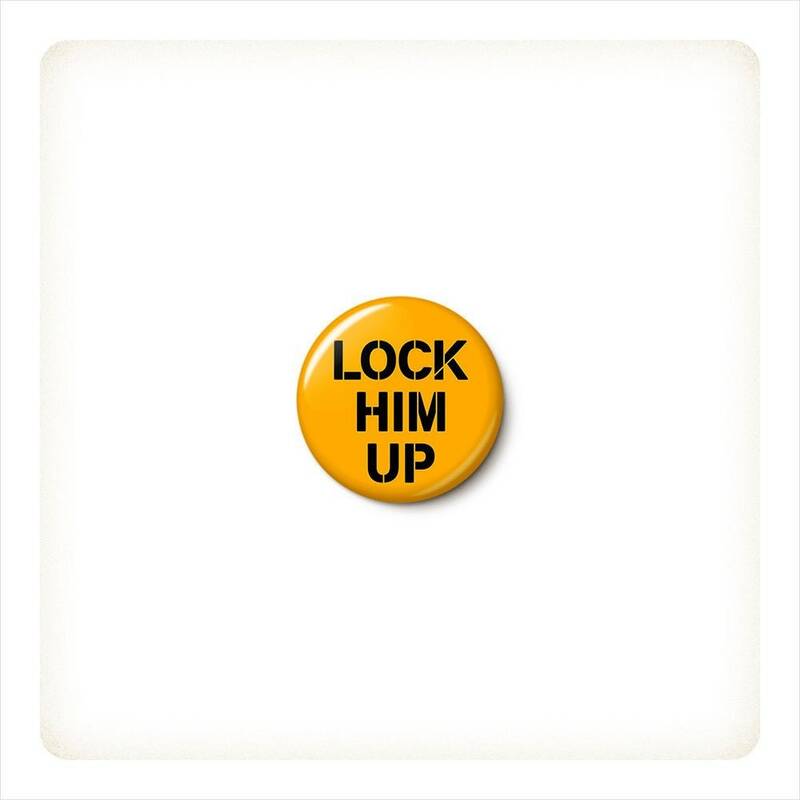 Important quality button. Highly recommend shop. 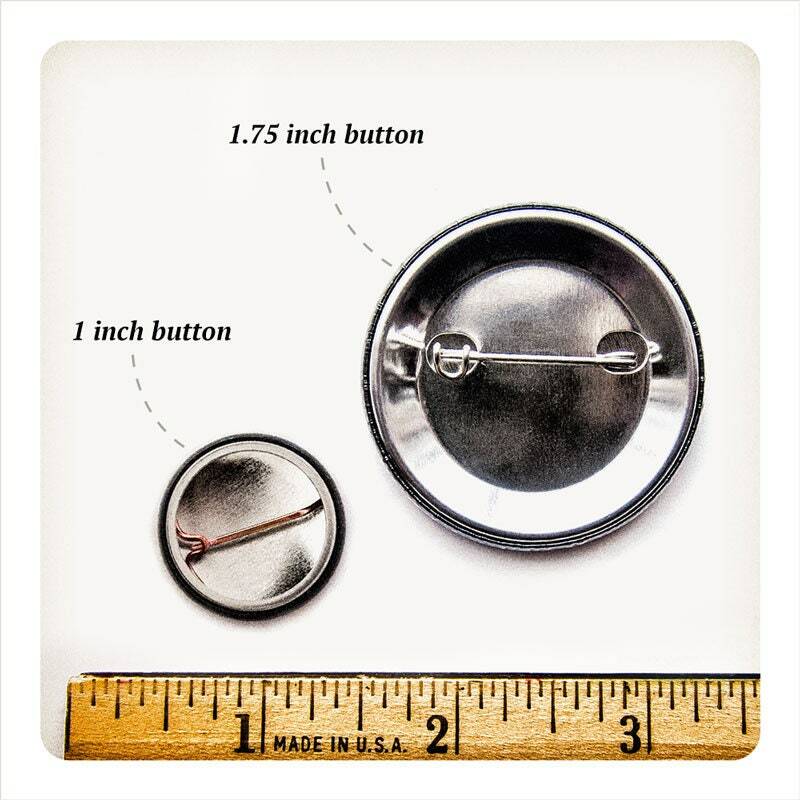 PERFECT~ Got a few of these size and they are perfect for a bomber jacket I am working on. Fast shipping, nice quality pins. I will be back. Thank you for gift too. 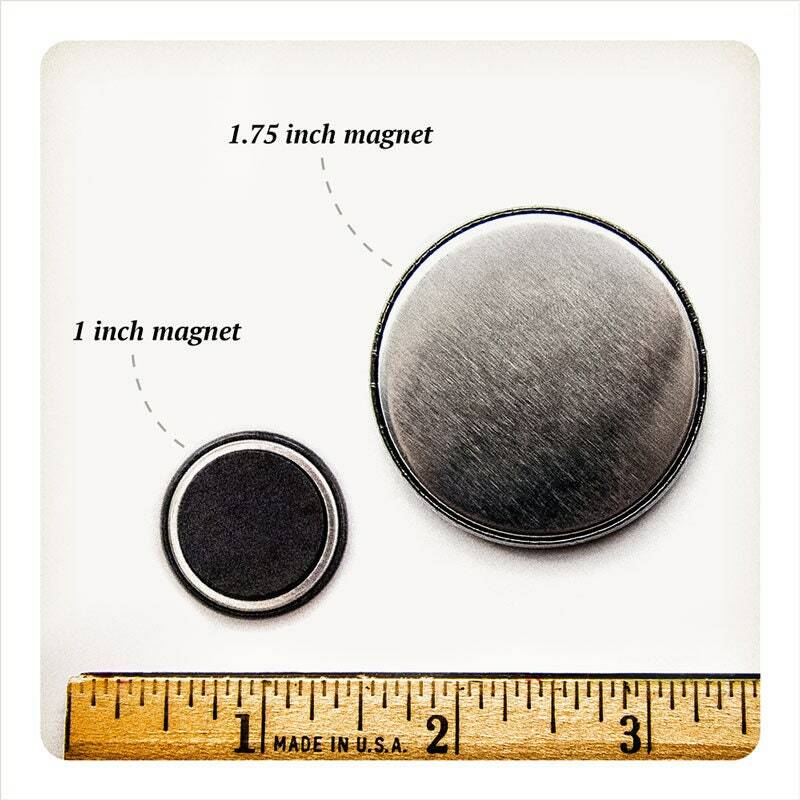 Love this quality magnet. Fun ...and important.